The format is simple but not something I’ve heard of in the UK before. 6 laps of an approx 500m loop, where you have to change over after each loop and you can have between 2-6 swimmers per team. Due to training for Windermere, it was also a rare pre-Windermere opportunity to break out the BlueSeventy helix and go faaaast(er)! We turned up and half 7 and registered (you can normally register on the day for RG Active events) then spent the next 30 minutes chatting to familiar faces and welcoming new ones. At 8am we were off. 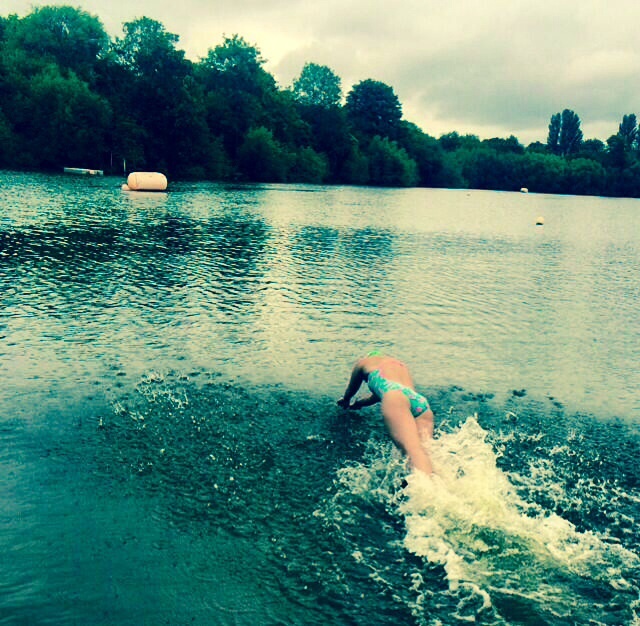 I took the first lap and was swimming against the various west London penguin teams that had come along and some fast RG Active swimmers (even those who have only swum 3 times in 2014… You know who you are). I came out of the water 2nd 🙂 and then proceeded to complete the hardest part of the lap, the run to hand over. I say run, I shuffled and it must only be about 20m. Katie then powered her way through lap 2 into the lead where we stayed until the end! I really enjoyed the event and everyone seemed to get into the team spirit. After the event we both got back in skins to do a lap cool down. 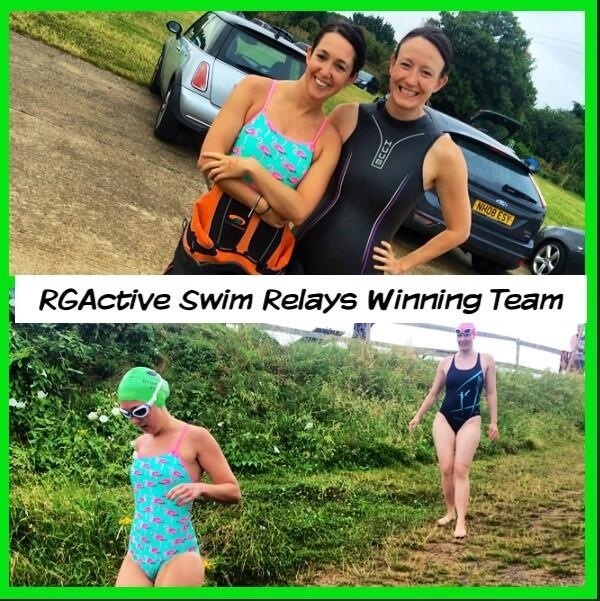 Hoping that @rgactive might try squeeze in another one (hint hint John). Otherwise we will be back next year to defend our title!